By Paul A. Ruggieri, M.D., Scott Isaacs, M.D. Paul A. Ruggieri, M.D., Scott Isaacs, M.D. Do You Have a Thyroid Problem? If you’ve been diagnosed with a thyroid disorder, perhaps you feel some relief in having pinpointed the source of your troublesome symptoms. 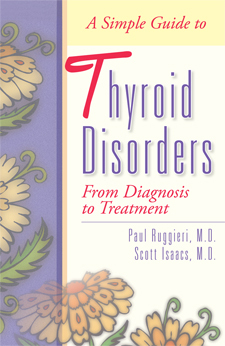 As you may know, thyroid disorders often elude diagnosis since they may mimic other illnesses.